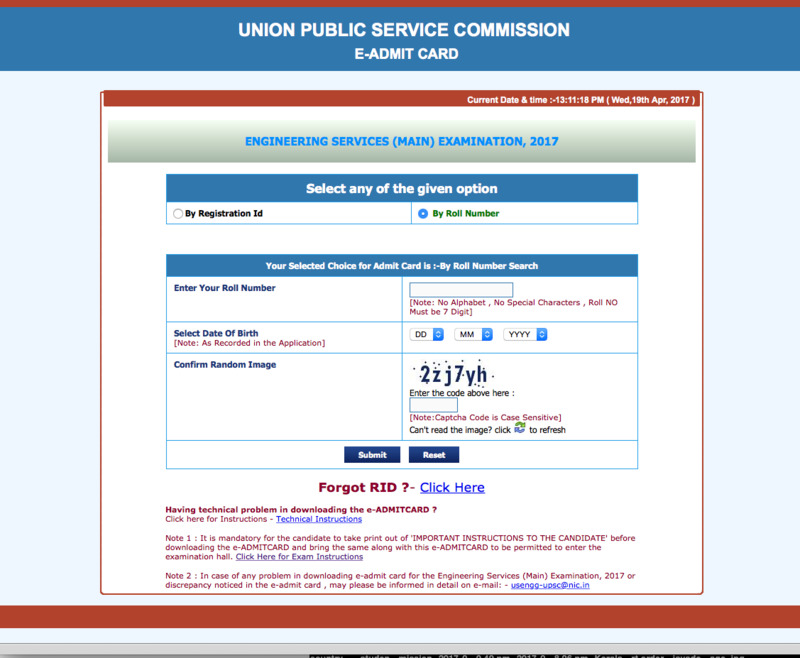 The Union Public Service Commission (UPSC) has released the UPSC Engineering Services Main 2017 exam admit card. The admit card for UPSC Engineering Services Mains 2017 exam can be downloaded from the official website. Those candidates who have passed the UPSC IES Preliminary examination will be able to download the admit card for the UPSC IES Main 2017 examination. The Main examination will take place on May 14 at different test centres across the country. The recruitment is being conducted to fill up 440 engineering posts in various government offices. Click here to download UPSC IES Main 2017 Admit Card. Candidates will need to download the admit card before the date of examination and take a print out of the same. The examination will take place in two sessions in which battery-operated pocket calculators (non-programmable) are permitted for the examination. Candidates will be permitted to enter the examination hall 20 minutes before the exam commences. On clicking the active link ‘e – Admit Card: Engineering Services (Main) Examination, 2017’, candidates will be directed to a page where they will find the important instructions. You need to take a print out of the important instructions before proceeding to download your admit card. After providing the data, candidates need to click on the submit button to download their admit card. Take a print out of the admit card for future reference.